The Travel Studio is an award winning independent travel agency owned and operated by a management team with more than 25 years of experience. Our clients enjoy the personal service of a boutique business combined with the pricing benefits and security provided by our membership with Helloworld Travel. When you talk to The Travel Studio you are talking to a corporate travel specialist. We have the facilities to source the best fares and services available and we make it our business to act in the interests of one party only, you, our valued client. Our specialist staff are committed to you and your business. When you talk to us, we listen. We are goal orientated and focused on achieving increased savings and efficiency for the business traveller. Talk to us for example, to see how our online reservations with 24/7 support and reporting can make a difference to your business. In an ever changing industry, The Travel studio understands how frustrating it can be for corporate travellers to deal with last minute issues. So relax, let us take care of you, efficiently and reliably, while you get on with the other things in life. 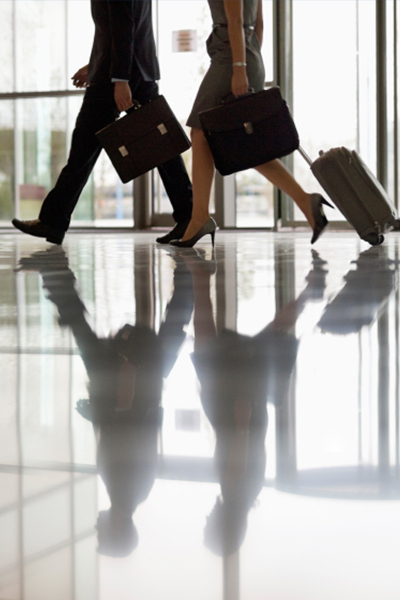 We make corporate travel simple.